Almost weekly, my Google alert is telling me of another community that has achieved No Kill because it reached a “90% live release rate.” Using that benchmark, Best Friends recently announced that we now have 4,000 of them in the U.S. But is it true? Unfortunately, it is not. First and foremost, a 10% rate of killing is not No Kill, as I explain below. But even if it was, Best Friends is relying on communities self-identifying themselves as No Kill, something that the No Kill Advocacy Center, my organization, never does. Rather, we independently verify each and every claim of a 90% placement rate so that our reporting about such claims places them in the most transparent light possible. And we never call it No Kill. Why do we do this? Because honesty and continued progress for animals demand that we do. As noted above, a 10% rate of killing is not No Kill. The 90% benchmark was promulgated by me more than a decade ago when I was acting on a very limited data set and many of the current advancements in veterinary and behavior medicine had yet to be achieved. It is a benchmark the No Kill Advocacy Center and I now reject. Let me once again explain why. In the early 2000s and after the release of my book, Redemption: The Myth of Pet Overpopulation and the No Kill Revolution in America and a nationwide tour to promote it, the No Kill movement began to gain unprecedented traction. As a result, there are now cities and towns across America with placement rates of over 99%, proving that the 90% benchmark has become far too low. With advancements in veterinary medicine rendering once fatal illnesses, such as parvovirus, highly treatable, and advancements in our understanding of dog behavior allowing us to rehabilitate dogs who were once deemed dangerous, greater live release rates are now possible. A commitment to the well-being of animals therefore demands that today’s performance no longer be measured by yesterday’s standards. In addition, many of the communities are not even legitimately at 90%, either. Instead, they use a combined placement rate for dogs and cats, obscuring lower outcomes for one of the species. For example, Ventura County in California identified itself as No Kill using a combined dog and cat placement rate that also excluded so-called “owner requested” killing. When the No Kill Advocacy Center broke out the numbers to include all animals (or as we say in the business, “counting all noses in and counting all noses out”), the placement rate for cats was in the 70s. That’s not No Kill. That is what Pima County, AZ, also used to do. Under previous leadership, it claimed to be No Kill, despite a placement rate below 90% when dogs and cats were separated and “owner requested” killing was included. Despite being below 90%, Best Friends announced that it had achieved No Kill simply because the director said it had. Under its current leadership, it no longer calls itself No Kill and is no longer listed as No Kill by Best Friends, even though it has a higher placement rate than when it was listed (in fact, it has the highest placement rate in its history). This is also how Baltimore County, MD, plays with the numbers. 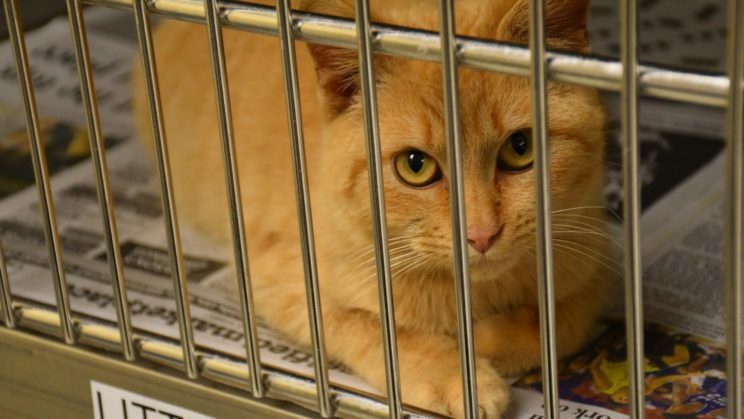 Despite county officials issuing press releases saying that “More than 90 percent of cats and dogs were leaving the shelter alive,” a subsequent investigation found that officials “manipulate statistics to make it appear that live release numbers are higher than they really are.” They do this by pressuring “owners surrendering animals at the shelter to sign a form requesting that they be euthanized… When an animal is killed at an owner’s request, it does not count against the shelter’s official live release rate” (and even though it should). Moreover, with studies showing that up to one third of animals surrendered for killing are treatable, this potentially means treatable, “owner” surrendered animals being killed. Indeed, some communities kill animals they know are healthy or treatable but call themselves No Kill so long as they keep the killing below 10%. The No Kill Advocacy Center, for example, is currently investigating one such county that has been prescribing tranquilizers to dogs with anxiety, making them sedate, and then killing some of those dogs for “depression” (almost certainly caused by the tranquilizers they prescribed). Finally, some of the communities claiming to have achieved No Kill exclude whole categories of animals, such as rabbits or other small animal companions. Best Friends recently announced that the City of Los Angeles achieved No Kill for dogs, even though the General Manager of Los Angeles Animal Services admitted that healthy puppies who can survive on their own are routinely put to death in the shelter. These puppies are excluded in their “live release rate.” They literally are just not counted. Don’t get me wrong. The conclusion to be drawn is not that No Kill is impossible. It is. There are a number of legitimate communities with honestly calculated placement rates of 99%+. There are millions of people and scores of animals currently living in and served by municipal shelters placing 98-99% of the animals. In fact, there’s been a 90% drop in the killing of dogs and cats in U.S. “shelters” since the 1970s. Despite a doubling of the number of animal companions, the number of dogs and cats killed has gone from roughly 16 million to less than two million. Its been called “the single biggest success of the modern animal protection movement.” We are making tremendous progress. More to the point, we can end the killing of all animals in pounds who are not irremediably suffering, rigorously defined. We just don’t have 4,000 No Kill communities as Best Friends recently announced. And we don’t achieve a No Kill nation by sweeping animals under the rug (more accurately, into garbage bags and then the landfill). We achieve No Kill by actually saving their lives — which, I am happy to note, many communities have already done in earnest.